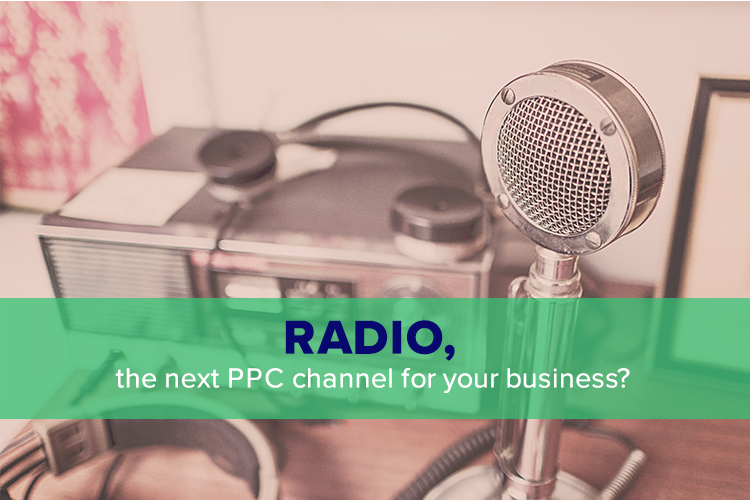 Radio, the next PPC channel for your business? It’s no secret that brands regularly leverage targeted advertising tactics to more accurately hone in on desired audiences, increase the conversion rate and maximize ROI. But what would you say about targeted ads on the radio of cars? Sounds SF or unconventional? What if I told you is already possible? With vehicles being the next frontier of targeted advertising, it’s important to understand its potential benefits to brands. The concept has been tested in late 2017 by an American vehicle manufacturer that tracked for 3 months the radio listening habits of 90.000 drivers, monitoring the volume, ZIP code of the driver, and station selection, while using the cars’ WiFi signals to upload the data to their servers. The tracking was done with the goal of comparing what customers were listening to with what they were buying and where they were stopping to eat, shop, and go for entertainment. Brands can use that information strategically to determine what’s important to drivers and passengers so that they can better understand, and thus more keenly target the right audiences. And if consumers are getting what they want, then chances are stronger that they’ll accept data tracking in cars the way they have accepted it in other areas of their lives. More than any other medium, radio stations still have the ability to gather mass audiences that are often captive during the time they’re in their vehicles. On top of that, data gathered from automobiles is more accurate than many other types of data and it’s immediately applicable. Advertisers can find out what people listen to, cross reference that data with where they shop, and then target those consumer radio stations with ads for similar shops and related products. In general, radio ads are designed to target a large and diverse audience, while SEM is aimed at connecting advertisers with specific and targeted groups or demographics. However, combining these strategies offers the best of both, and the potential for even higher ROI. Ultimately, PPC is about boosting sales and creating leads for the advertiser while elevating relevance to the consumer. And radio can be a critical catalyst for the successful execution of these PPC goals. A radio ad can contain a target keyword that is mentioned repeatedly, which can help users remember and associate that particular word with your brand which in turn allows them to easily locate it when searching online. Radio can also be a critical component of remarketing efforts. Brands can strengthen the results of their PPC efforts by determining if a consumer heard a radio ad for their product, and then doubling down by targeting an ad at a user for that same product when they’re back online, thus amplifying the effectiveness of their campaign aimed at boosting ROI and, ultimately, conversions. For now, it’s a waiting game, simply because car manufacturers aren’t yet selling the data they collect. However, brands can start to lay a foundation by attempting to better understand their target markets. The possibilities are almost endless. And while radio advertising might seem like a limited channel for ROI, leveraging it in tandem with PPC techniques can breathe new life into old campaigns and open up new worlds of opportunity for both consumers and brands.